Setbacks in the mould of Saturday’s 5-0 defeat to Manchester City call for the wisdom and spirit of a classic Bill Shankly quote. Though Sadio Mane’s controversial dismissal undoubtedly changed the game, Liverpool adopted an ugly and somewhat unfamiliar form. A form missing the kind of resilience, hunger and energy that Jurgen Klopp has installed and that, a lot of the time, has seen the Reds boast an unstoppable nature. Liverpool’s forgettable Jekyll and Hyde display is one to forget and move on from, rather than a defeat from which lessons are taken. A miserable afternoon in Manchester, while posing as one to dismiss, did produce several unavoidable talking points. Pinpointing Mane’s sending off as one, however, would somewhat contradict a will to brush the result aside. Liverpool conceding five goals in such uninspiring and sluggish fashion was always going to reignite the debate surrounding the club’s failure to acquire another central defender in the transfer window. Ragnar Klavan proved why he is a third choice centre-back on Saturday as he was exposed by the likes of Gabriel Jesus and Sergio Aguero on countless occasions. Out-thought, out-classed and, most worryingly, out battled. He wasn’t alone, either, with Joel Matip looking a shade of the composed leader he is so often hailed as being, Alberto Moreno offering little in the way of defensive contributions and Trent Alexander-Arnold enduring his most difficult outing for the first team. 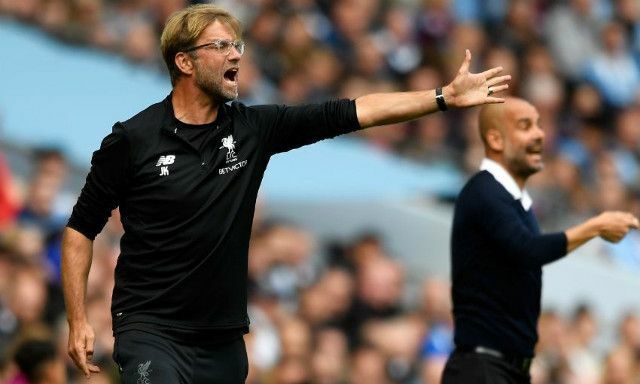 A Pep Guardiola attacking force staked a claim as perhaps the worst for a team to face when down to 10 men, tormenting a Liverpool back four that, admittedly, helped the hosts out. Reds have every right to stand by their opinion that Mane should not have been sent off. That’s completely fine. What wasn’t, was the manner in which Liverpool folded in the second-half and disregarded any kind of tactical or mental approach they may have started the game with. For a team competing in European club football’s biggest competition, there are no excuses for abandoning a belief and a motivation when things don’t go their way. Leadership in Liverpool’s first eleven has to go beyond just Jordan Henderson in midfield. If the punishment City handed out isn’t enough to fuel an anger amongst every Red in the squad, then they shouldn’t be at the club. Time to respond. With any luck, Alex Oxlade-Chamberlain will enjoy better days in a Liverpool shirt. The club’s deadline day signing found himself on the wrong end of a hefty scoreline for the second week in a row, following Liverpool’s 4-0 win over Arsenal- in which he was still playing for the Gunners. Little blame can be put on his shoulders, with most of the damage having been done by the time he entered the game. Another lacklustre display from Georginio Wijnaldum can be seen to have levelled out the playing field slightly more, with the Dutchman giving his teammate good reason to believe he can break into the team sooner than most might have thought. Mane’s suspension could also open the door for Oxlade-Chamberlain to make his mark, especially given his ability to supply the pace lost during the forward’s absence. The Anfield crowd needs Philippe Coutinho as much as Philippe Coutinho needs the Anfield crowd during Wednesday’s Champions League group stage clash against Sevilla. With Klopp confirming the Brazilian could return to action for the Reds, the stage is set for Liverpool’s little magician to lift his teammates, his manager and his fans. Lead by example. Come back firing and bring Reds to their feet with the genius everyone affiliated with the club has missed so dearly. His presence alone will go a long way towards eradicating any nerves playing on the minds of his teammates, who will welcome back their No.10 with open arms. Three tough games without Mane await Liverpool- giving Coutinho the platform to put himself in the spotlight and prove why this club was so fortunate to keep him from the clutches of Barcelona. It’s for moments like this why the club signed the likes of Oxlade-Chamberlain and Mohamed Salah and kept hold of Coutinho and Daniel Sturridge. It was for answers to the Premier League’s unpredictability that Klopp reinforced his attacking options, having seen how costly Mane’s African Cup of Nations absence was last season. Oxlade-Chamberlain offers the explosive pace and ability to breeze past his markers capable of making him a viable option as part of Liverpool’s front three, if required. Coutinho boasts the traits that have already seen him thrive on the left of Klopp’s attacking trio, as well as in the deeper role he has been tipped to adopt as a future long-term position. What Liverpool lose with Mane, they have in the form of Salah- who had several great chances to put distance between his team and City before the red card on Saturday. In search of something different? A proven prolific goalscorer? Sturridge, notably fit and healthy, can be that man. This a test Liverpool always had to pass. It’s just arrived earlier than expected.